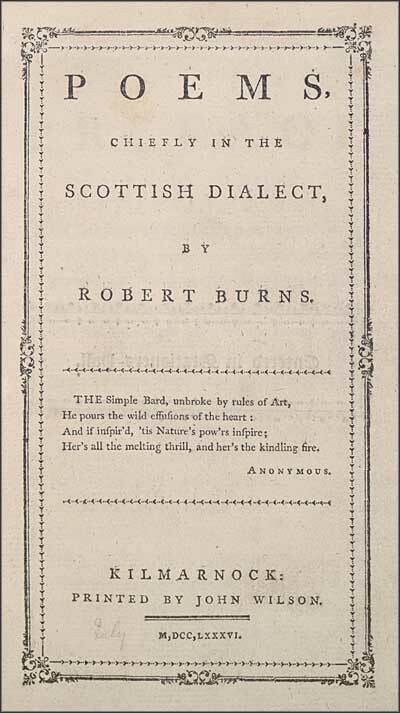 Title page of 'the Kilmarnock edition' of 'Poems, chiefly in a Scottish dialect' by Robert Burns. Read this book online in the NLS Digital gallery. See the books page for details of other editions that are held at the National Library.